Order your Amazon Echo today! Introducing a breakthrough in local news. 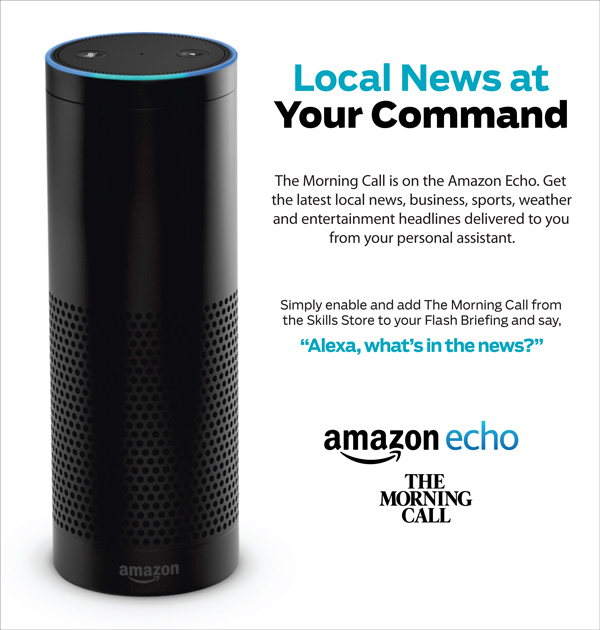 The Morning Call is now available on the Amazon Echo. Get the latest local news, business, sports, weather and entertainment headlines delivered to you from your personal assistant. Simply enable and add The Morning Call from the Skills Store to your Flash Briefing and say, "Alexa, what's in the news?"